DecoArt Pouring Medium is a fluid additive specially formulated to enhance paint flow. 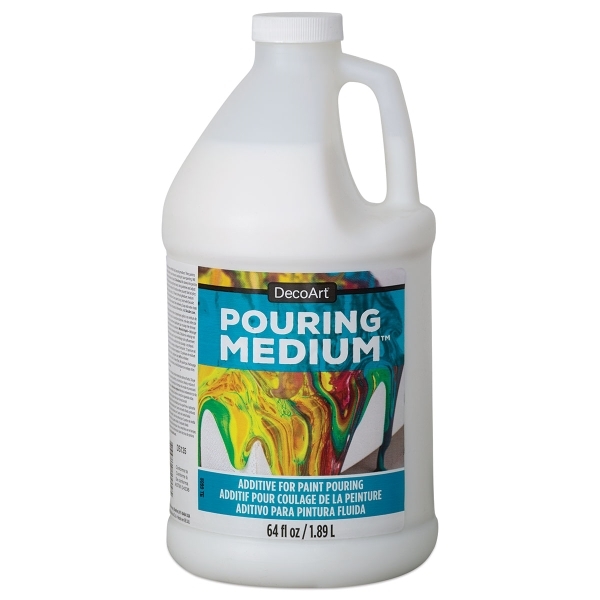 This medium thins acrylic paint to the ideal consistency for pouring, without sacrificing adhesive properties or slowing the drying time. Its flexible film won't crack or craze. ® DecoArt is a registered trademark.